Addressing gender disparities in the context of land reforms is not easy. Effectively addressing gender issues takes time and effort, which can sometimes make it more expensive in the initial stages of a project or program. However, evidence shows that integrating gender throughout land reform interventions not only increases benefits for women, but strengthens the intervention overall. Meaningfully including gender into land reform approaches often requires a change in behavior among decision-makers and program participants that, in some cases, may take years, even decades. In the meantime, land reforms can sometimes move faster than changes in gender stereotypes that impede women’s land rights. If land reform efforts and the donors that support them do not urgently and specifically focus on the inclusion of gender issues, these reforms may solidify and perpetuate land rights inequities for women and girls. 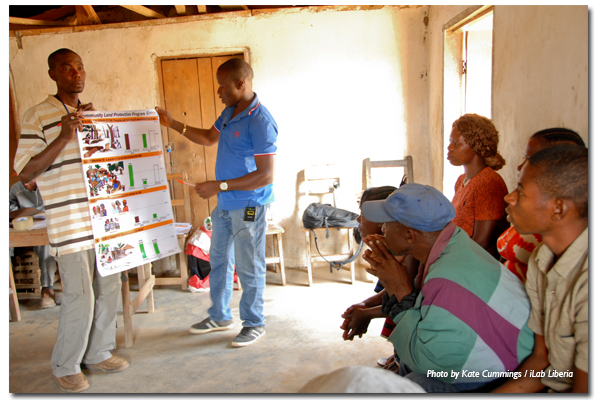 In Liberia, the community organizers for USAID’s Land Governance Support Activity (LGSA) program on community self-governance understand this. In a packed meeting room in LGSA’s office in January 2018, women and men community organizers engaged in an interactive gender and women’s land rights training, sharing stories, challenges and approaches to addressing gender discrimination in customary land governance. The discussions grew lively as participants tackled difficult issues and challenged their own beliefs around gender and land rights. In the midst of a discussion on whether special efforts should be made to secure women’s rights to land, one woman organizer coined the phrase “full rights for all,” which the group enthusiastically agreed should be the goal of all community-level efforts to implement Liberia’s 2013 Land Rights Policy. Women’s access, use, and control of land differ from, and are less secure than, those of men. Rural women depend on accessing and using community land for their housing, livelihood, and welfare, but face discrimination and barriers not experienced by men. This makes their land and property rights insecure, particularly in customary settings. Most women access land through their male relatives, and do not approach chiefs directly for land. Women’s use of land is often temporary and limited to planting seasonal crops. Laws and practices around marriage reinforce land-related gender biases. The laws governing women’s land rights are inconsistent, do not achieve their intended purpose of treating all “wives” equally, do not treat men and women equally, only cover privately owned land, and do not cover all relationships where land rights matters arise. Civil marriages are rare, customary marriages are on the decline, and marriage informality is increasing. Women in de facto unions do not have recognized rights upon separation or abandonment, even when they have contributed to the family property and its maintenance. The law regulating inheritance contains critical gaps. Liberia’s laws on inheritance vary for civil and customary marriages, and the latter appears only to apply to private land, which excludes much of the land held within customary marriages. In much of the interior, inheritance of land is customarily reserved for men. In practice, women in customary land tenure systems are not entitled to their husband’s land; if the husband dies, the wife is expected to re-marry a member from his family and to transfer family property to him. Women’s participation in land governance is low, and in certain cases absent, in both statutory and customary governance systems. Women are disadvantaged in both statutory and customary land governance systems due to underrepresentation, customary norms requiring male accompaniment, lack of consultation and information, low recognition of women’s legal rights to land and inheritance, and the dual system of land governance, both of which contain biases against women. Access to justice and dispute resolution systems for land are largely biased against women. While the formal court system is out of reach for most rural women as compared to men – requiring language skills, education, money, travel time and access to lawyers that most lack – customary justice institutions, run almost exclusively by men, often reflect customary biases against women and fail to deliver gender-equitable outcomes. Women in concession areas face unique, gender-specific challenges to land rights. In all the three counties researched, the women affected by concessions mentioned that they were faced with scarcity of food and could not gather herbs to treat the ill members of their families. The concessions drastically disrupted women’s lives through destruction of farmlands, pollution of drinking water, and restrictions from accessing the forests which, among others, provided food, medicinal herbs, and crops for the market. While more research must be done to inform gender-equitable implementation of Liberia’s Land Rights Policy, the LGSA report on Women’s Land Rights in Liberia is part of a growing movement among donors, civil society, and the Liberian Land Authority to seriously consider gender disparities in the land reform process and their impact on sustainable development. Like the LGSA community organizers, people representing a range of institutions in Liberia increasingly realize that moving forward toward community land governance without a gender-responsive plan in place would compromise the end goal of the reforms, including gains in productivity, and food security. 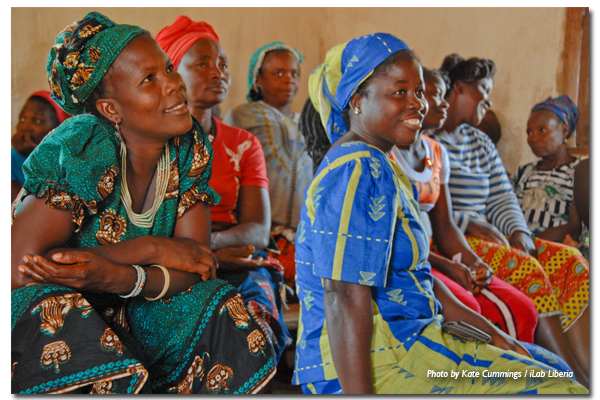 As Liberians chart a path forward toward gender-equitable and responsive land governance, USAID will support the shared vision of socially inclusive land reform that could become a model for other countries and contexts. The Women’s Land Rights Study represents an important milestone in this regard. Learn more about USAID’s work on land rights in Liberia.